FUEL Nonprofit Organisation - Feed. Educate. Uplift. Love. HomeProjectsFUEL – Feed. Educate. Uplift. Love. FUEL – Feed. Educate. Uplift. Love. FUEL: A simple idea that transformed the way learners participate in the classroom. At the heart of ALI is a fundamental ideology that stems from an interesting philosophy. It is ALI’s view that Africa’s future lies in the development and cultivation of values-based African leaders. These are key individuals who will lead their societies with integrity, all for the betterment of Africa. Since its inception, the Africa Leadership Initiative has pulled its own weight in producing leaders who not only positively impact their societies, but also help shape the future of our continent. Some of those Fellows have developed life-changing projects that have made some significant progress in South Africa. One of those projects is FUEL. Fifteen years ago, Charles Luyckx (from Class IV: Kalipha) and Gary Campbell (from Class III: Seriti), identified a missing link in the South African education system. That link was nutrition. Whilst attending an ALI program, Charles and Gary were encouraged and inspired to pursue or join a non-profit initiative that could best impact the community. Along with Hanno Kemp (from Class IX: Tariro), the founders decided to focus their attention on education, to see how they could best work with government to make a permanent and positive contribution to the lives of young people in South Africa. Their idea was simple, yet highly impactful. By providing each learner in disadvantaged communities with a daily nutritional meal – at the right time, they figured they could help young people concentrate and engage better at school. They did just that, through FUEL. FUEL is an acronym that stands for Feed. Educate. Uplift. Love. 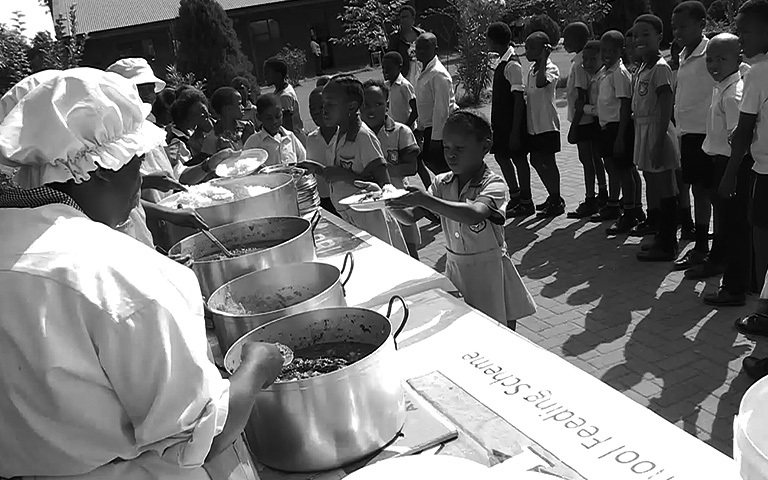 It’s a fully funded non-profit initiative that collaborates with the South African government to feed our school children and transform the way they learn. FUEL’s primary focus has always been to support the Department of Basic Education towards improving the implementation of the National School Nutrition Programme (NSNP) — which has a goal of enhancing learning capacity and improving access to education. 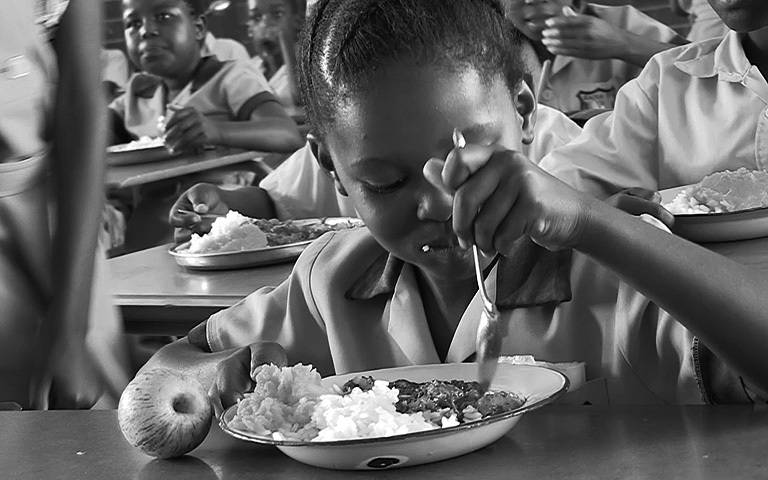 The project, through its MRR (Monitoring, Reporting and Response) program, serves to impact and improve children’s education by providing good nutritional meals, at the right time, everyday, for young learners across South Africa. Beyond just nutrition, Charles and Gary realized that in order to support and improve the NSNP, they needed to design a methodology that would monitor and drive performance. They referred to this system as MRR. Understand and measure success in providing nutrition to learners on time. To share this information — be it successes or setbacks. To respond quickly in order to improve their performance. This program has been impactful and successful since its implementation. It was first trialed in the North-West Province, and was later rolled out to other provinces (currently 7 of the 9 provinces). Today, the NSNP has seen huge improvements in the progress of learners in school. And FUEL is hoping to engage with the remaining 2 provinces. Also, the positive impact made in schools across South Africa have received nothing but praise from many stakeholders. As the Africa Leadership Initiative, we can only be honored to be associated with such great African projects which were inspired or conceived during the ALI program. We are confident that our Fellows and their projects will continue to impact Africa as we move from strength to strengthen.